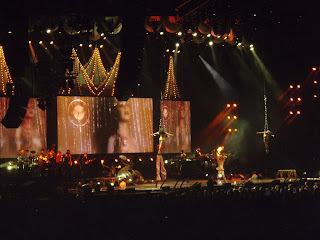 The concert was held at Burswood Dome for two days, 13th and 14th of July. I went on Friday night, in her first concert. Her costumes and background dancers were great, although the lighting and backstage performance was just average. She looks fabulous, still not sure of the rumours that she’s expecting. Her belly looks very flat in that tight corset and tiny short, anyway. Candyman, Hurt, Beautiful, Dirrty, and most her popular songs were sang pretty good that night. And she really has such a strong voice. Truly a talented good singer. The negative point was the show was too short. She started almost 9 pm and finished by 5 past 10…. Lots of audiences were wondering whether it was on break or really that was it? It wasn’t too good for the money we paid, especially the one on the gold seats. Or maybe that she really is pregnant…?? 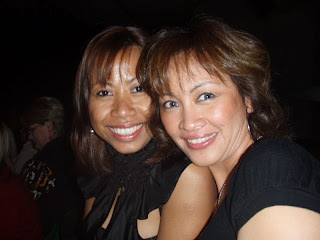 I had a great night, went for some supper after that at Burswood hotel and a bit boogie at the Paddy.